In an ocean mistaken for a lake, with islands beautifully scattered in its midst, Dalmasan, appears as if it were a painting coming to life. At the edge of the land, away from the world, there is a temple where many practitioners have entered nirvana. In the pitch dark, awakened by the sound of a moktak, a handheld wooden percussion instrument, do a yebul, or prayer chant, before Buddha. Do a chamseon, or sitting meditation, along with the monks there, listening to the sound of a jukbi, or bamboo stick, waking your mind. 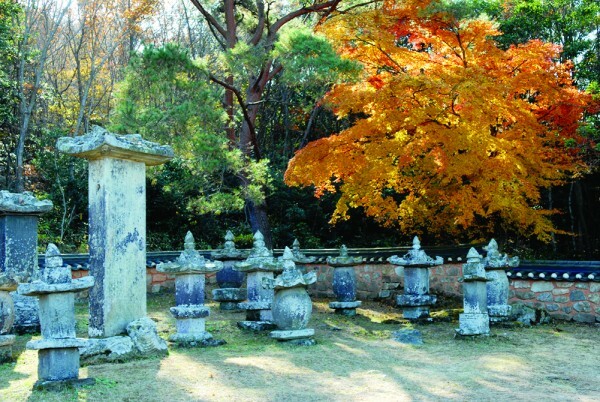 Meditate around Budojeon or Sarira Hall, walking and listening to birds chirping. Feel the tranquility of your mind. Feel freedom from all the torment you carried and take your first step toward complete enlightenment. 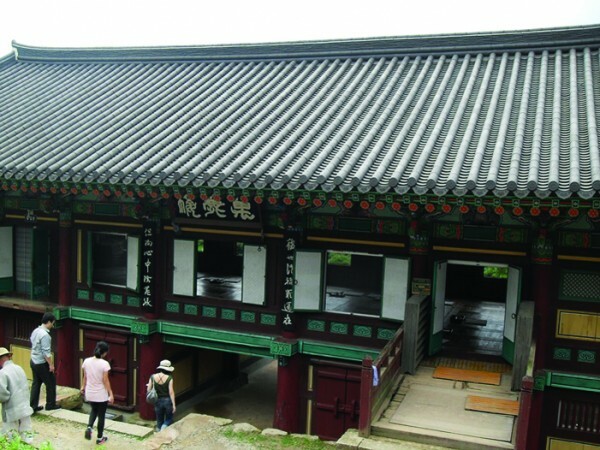 The door of Mihwangsa Temple is always open to everyone in the world. like a ship, with the cornerstones of the building decorated with the shapes of sea turtles and crabs, which signifies crossing over into the Buddha’s world. Shakyamuni Buddha is enshrined in the middle, the Amita Buddha, or the Buddha of the Western Pure Land is on the left, and the YaksaYeorae Buddha, or the Buddha of Medicine, is enshrined on the right. It is said that if you prostrate yourself three times in the hall, you will have bowed three thousand times, because there are a thousand Buddhas on the ceiling. 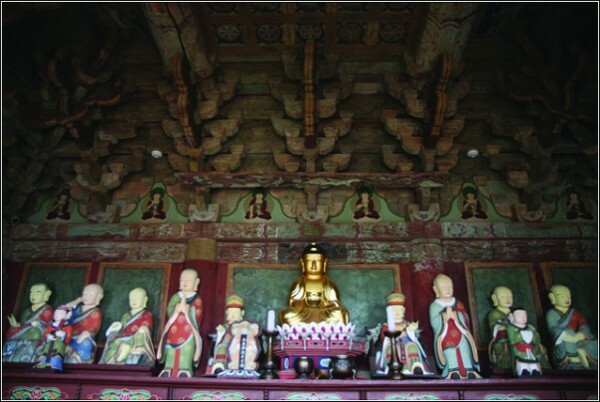 Eungjindang where Shakamyuni Buddha and his sixteen disciples, or Arhats depicted. It is an ideal place to go at sunset to appreciate the murals of Buddha’s disciples on the walls. 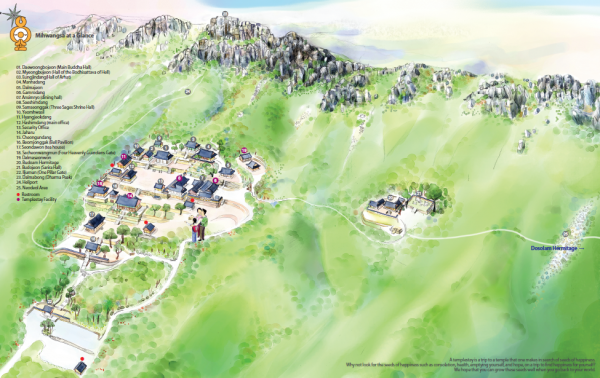 Here you can see the whole of the Mihwangsa Temple complex and beautiful views of the South Sea. As you walk up the steep steps beyond the Single Pillar Gate, you will come across a building called Jaharu, as well as Dalmasan Mountain. Jaharu means “a building where the violet-colored light of the sunset stays.” All year round, you can watch the sunset fill up the sea in front of Jindo Island. In the summer, this is the place where Children’s Chinese Study Camp is held. Sometimes it becomes a place for practitioners to come, each looking for the essence of one’s self. 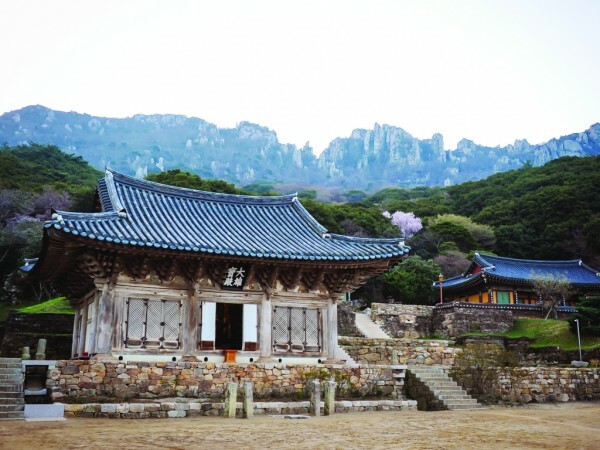 It is not just the violet-colored light of the sunset that fills Jaharu, but also the minds of all the visitors of Mihwangsa Temple. the practice of those monks.